Esophagectomy can be used to treat several esophageal diseases; it is most commonly used for treatment of esophageal cancer. 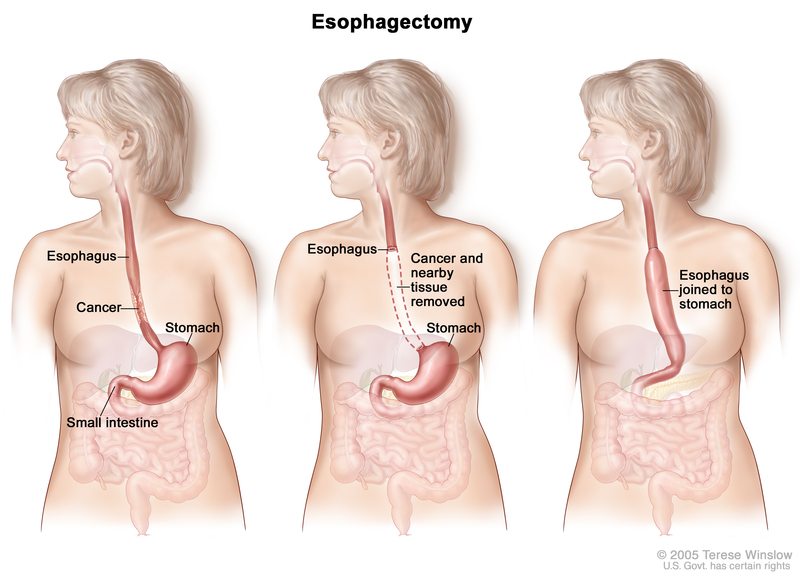 Esophagectomy is a major procedure that may result in various complications. This article reviews only the important complications resulting from esophageal resection, which are anastomotic complications after esophageal reconstruction (leakage and stricture), delayed emptying or dumping syndrome, reflux, and chylothorax.